Gerbsman Partners formed its "Board of Intellectual Capital" as a resource for rapidly identifying business and marketing strategies, strategic alliance candidates and financing for highly leveraged, under-performing, under-capitalized and under-valued Technology, Internet, Life Science, Wireless and low tech companies and their Intellectual Property. This distinguished group includes nationally and internationally recognized financial, communications, media, advertising, public relations, technology and operating executives. accessing capital markets, and building shareholder/stakeholder confidence. As CEO, he has directly established sales and a global audience, establishing global manufacturing operations from start-up, to over seven thousand employees. Mr. Hardesty started his career at IBM Corporation, then left to start up as founder/CEO and President of DATA MAGNETICS COMPANY beginning with IBM as its only customer. Over the next nine years, he led and built the company into a major high technology global sub-contracting manufacturing and licensing/engineering company. DATA MAGNETICS went public in Hong Kong, employing over seven thousand employees, in eighteen manufacturing facilities in six countries. Mr. Hardesty was Senior Vice President of Corporate Development for SEAGATE TECHNOLOGY, Founder of DISC MATERIALS TECHNOLOGY, with Seagate as his first customer, building the company to profitability and then sold the company to Komag Corporation. He was President of ROSSI-HARDESTY FINANCIAL, COO/Executive Vice President of worldwide opertions at SYQUEST TECHNOLOGY, CEO of CASINO DATA SYSTEMS, a developer of major corporate software tracking systems for companies. Some of the largest highly respected world wide customers and partnerships that Mr. Hardesty developed and worked with directly to get his companies qualified and approved as major suppliers are: In the United States - IBM, HP, Storage Technology, Digital Equipment, Seagate, Texas Instruments. In Europe - Siemans, BASF, Phillips and Olivetti. In Japan - TDK, Matsushida, Sony, Akai, Hitachi, Toshiba, Fujitsu and many others worldwide. Mr. Hardesty assist Gerbsman Partners, where appropriate, as a CEO in residence, working in the technology, life science, medical device and cleantech companies. He also provides guidance for strategic partnering opportunities, as well as contract manufacturing and licensing partners in Asia, India and worldwide. real-time integration of complex systems and the Industrial Internet of Things (IIoT). Also, he is serving as a Director of MARSEC, Inc., a navigation and control products company in the commercial marine industry. 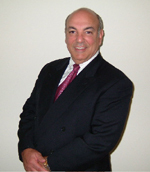 He is also a Managing Director of NewLine Ventures, LLC, a management consulting firm. From 2008 to 2011, he also served as a Venture Partner with the Paladin Capital Group in Washington, D.C. and as a Venture Partner for ePlanet Ventures I and II. He was a co-founder and General Partner of Zilkha Venture Partners (Fund closed out in 2003), an early stage venture capital partnership focused on seed and first round investments in IT and bio-technology companies, principally located in Silicon Valley. He founded SafeView, Inc. in 2002, a Government Laboratory (PNNL) spinout, to address aspects of the anti-terrorist physical security market; the Company closed A and B rounds totaling more than $23M led by Draper Fisher Jurvetson, ePlanet Ventures, GE/Invision, Paladin Capital Group, and Novak Biddle. He served as Chairman until its sale to L3 Communications in March, 2006. This technology is now the security standard in airports worldwide. 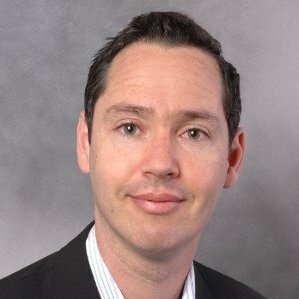 Concurrently, Mr. Lyons is a Consulting Associate Professor at the Stanford University Department of Management Science and Engineering. Serving in the Stanford position since 1988, he was a co-developer of the Stanford Technology Ventures Program with Prof. Tom Byers and the founding professor of Technology Venture Formation. He also co-teaches, with Prof. Ray Levitt, Entrepreneurship in Civil and Environmental Engineeering in the Civil and Environmental Engineering department of the School of Engineering. Both of these courses are some of the highest rated courses in the School of Engineering. He is the co-creator of the Stanford Innovation and Entrepreneurship two week program for existing high tech companies produced and managed by the Stanford Center for Professional Development (SCPD). This program just completed its four year anniversary and is a significant revenue producer for SCPD. He has co-produced and delivered numerous other SCPD and STVP programs. He is a co-founder of the Innovation Institute focused on creating training platforms for entrepreneurial education. From 1980 to 1991, he was a co-founder, a Vice-President, and a Director of Integrated Systems Inc. (INTS, founded 1980), a leading implementer of high-performance real-time control systems for aircraft, utomotive, and manufacturing applications. The Company was merged with WindRiver Systems in 1999. WindRiver was acquired by Intel in 2009. Mr. Lyons received a Bachelors and Masters (equivalent) in Engineering Physics from Cornell University, an MSEE from Stanford, and an MBA, with Distinction, from the Pepperdine Presidential/Key Executive Program. He is a graduate of the Stanford/AEA Institute for the Management of High Technology Companies and a Price-Babson Fellow in Entrepreneurship Education. He holds an FAA multi-Engine Airline Transport Pilot License and Certified Flight Instructor Certificates for Instrument and Multi-Engine Aircraft. technology consulting, and corporate finance (CFO, CPA). He is currently a member of the Board of Directors of Climax Manufacturing Company (Lowville, NY) and Shield Pack Inc. (Monroe, LA) and the Board of Advisors of Animation Technologies, Inc. (Boston, MA). Mr. McHugh earned his AB in Economics from Bowdoin College and an MBA from The Amos Tuck School of Business Administration at Dartmouth College. Mr. McHugh has designed and directed diverse engagements and led cross-functional project teams within both small and large organizations. In addition, he has served in an interim management capacity as a CEO and CFO. His recommendations have led to substantial improvements in strategic focus, operating performance, profitability, and shareholder value. Ron Margalit is a seasoned emerging markets executive. Building on extensive career as an innovation catalyst, Mr. Margalit is focused on social investments in emerging markets aimed to promote bootstrap growth through adaptation of know-how. Mr. Margalit is specialized in mobilizing funds from development finance institutions, either by generating new revenue streams, project financing, equity investments or deal development. Mr. Margalit began his career in Israel defense and hi-tech industry. Promoted to Major in Israel Defense Forces before the age of 28, Mr. Margalit led the establishment of a new classified hi-tech unit. Following his military service, Mr. Margalit joined Israel's aerospace industry leader, working on the company's flagship $500 M venture. Relocating to the U.S. Mr. Margalit had served as the first-ever appointed economic representative of the Government of Israel to the World Bank and Inter American Development Bank. In this capacity, Ron initiated, designed and established this new national program, taking aim to accelerate Israel's private sector participation in emerging markets. Among other, Mr. Margalit had co-founded a new $5 M governmental fund that invested in well positioned companies to participate in the program. Upon completing his services at the Embassy of Israel, Mr. Margalit joined Development Finance International, an impact consultancy firm working with Global 500 companies on their emerging markets programs, responsible of open the company's office in New York City. Mr. Margalit earned a bachelor's degree from the Hebrew University of Jerusalem and a MBA from Georgetown University. He also completed Harvard Business School Executive Program focused on emerging markets. Philip is Founder and Managing Partner of Evolution Venture Partners and has extensive experience in investment banking, merchant banking and the management of small and mid-size companies. He has participated in over 150 public and private debt and equity offerings in his career. He has been involved in over $1 billion in financings for early stage companies. Philip was Founder and Managing Partner of Foundation Ventures, an investment banking and advisory firm serving the life sciences industry. Previously, Philip was Founder and Managing Director of BlueStone Capital Partners, a global investment and merchant bank focused on small and mid-cap growth companies. He was also Founder and Managing Director of Trade.com Global Markets, a global technology and financial services provider to leading financial institutions worldwide, including ABN Amro and Standard Chartered Bank. His responsibilities included starting up and managing Trade.com's Asia Pacific headquarters while based in Singapore. The combined entities of BlueStone and Trade.com had over 600 employees with offices in New York, California, New Jersey, Florida, Frankfurt, London, Vienna, Mumbai, Dehli, Sydney, and Singapore. Philip has extensive experience working with major international banks and equity sponsors. In addition, he has significant expertise in the operations and restructuring of small and mid-cap companies. He has served on numerous boards of directors and has been a guest lecturer on various topics, including technology startups and financial services at the Wharton School of the University of Pennsylvania. Philip received his B.A. from Northwestern University. Alyson Krause, is a founding member of Claro International Solutions (CIS), a technology investment consulting company with offices in Cambridge, Massachusetts and Panama City, Panama. CIS has domain expertise in increasing value for intellectual property and helping businesses grow world wide. CIS focuses on assisting international equity sources in identifying business opportunities in the technology, clean energy, life science and medical device areas. CIS also provides international business development services to the technology and infrastructure sectors. Ms. Krause started her career performing regional economic research for a Middle-East think tank. Following her research, she returned to New York and worked for an economic consulting company helping international businesses increase their profit margins. She then moved on to work for the Federal Reserve Bank of New York, where some of her duties included country risk analysis, risk analysis for international banking institutions and evaluating emerging markets. After leaving the Federal Reserve, she went to work at SAIC a FORTUNE 500� scientific, engineering, and technology applications company. Leveraging her knowledge of the international financial markets and emerging technology, she went on to start CIS. Mr. Tillman is currently Founder, President and CEO of Sierra Photonics, Inc., an optical communications startup company. He also operates as a mergers and acquisitions, turnaround and startup business consultant. He has served as President and CEO at RRTI, Inc., Rootsweb.com, Inc., Storm Technology, Inc., and Sunshine Medical Instruments, Inc. and as Chief Operating Officer of Totality Corporation. He is a founder of RRTI, Inc., Sunshine Medical Instruments, Inc. and Worldview Corporation (now DigitalGlobe). Mr. Tillman had been involved, both as a principal and consultant, in financial, strategic, operational planning and investment banking for a variety of national and international companies. He has also assisted venture capital and investment firms structure, acquire and finance several technology companies. He received a BA degree from Harvard University, an MBA from Stanford University School of Business, has worked for Morgan Stanley & Co., and has been associated both as an investor and consultant, with a number of Silicon Valley venture capital firms. helped build the group�s interactive business around the world. Hans Ullmark is also the founder of Collaborate, a new breed of communications agency that extends across all forms of media, from TV to PC and beyond. Collaborate blends strategy, technology and creativity to design unique brand experiences integrated around the consumer. Collaborate has offices in San Francisco and Stockholm, and clients such as Franklin Templeton Investments and Logitech. Mr. McCreery is a CFO who has worked with numerous private and publicly traded companies. He was worked with both start-up as well as established organizations. During his career, Mr. McCreery was CFO and Founder of ProStor Systems, Inc., a developer and manufacturer of disk based data storage and archiving systems. While there he helped the company raise $24 million in venture capital financing from New Entereprise Associates, Sutter Hill and Boulder ventures. He also raised $5 million in growth capital and working capital financing from Western Technology Investments and Silicon Valley Bank. Mr. McCreery was also CFO of Network Photonics, Inc., a developer and manufacturer of optical switches and subsystems for the telecommunications industry. While there he helped raise $107 million in venture capital financing, and secured $25 million in equipment financing. Prior to that Mr. McCreery was VP of Finance for International Language Engineering, a localization and translation services company and Corporate Controller for Exabyte Corporation a manufacturer of data storage products. Mr. McCreery specializes in troubled manufacturing, networking, data storage, telecommunications and software companies with a goal of analyzing the financial situation of the company and securing additional financing and/or a suitable buyer for the company. Mr. McCreery assists Gerbsman Partners as a CFO in residence. Mr Fish, a principal at AMF Ventures, has been involved for over 18 years in the Mobile, Wireless, Telecom and Satellite industries, and has been associated with hi-tech investing since his first IPO in 1994. AMF Ventures is based in London, with partner companies in Germany, France, Spain, Italy, Holland, US, and offers strategic advisory and investment services exclusively focused on the TMT industries. Mr. Fish currently serves as a Non Executive Director, Advisory Board Member and Founder of numerous UK and European companies and was previously a Director of Mergers and Acquisitions for British Telecom. He is a Chartered Engineer and marketer with an MBA from Bradford School of Management and an Engineering Degree from Reading University, both located in the United Kingdom. Additional information about Mr. Fish can be found at www.amfventures.com. Don Middleberg is regarded as one of the nations leading public relations executives, renowned for developing some of the most creative and powerful communications programs for such companies as American Express, Consumer Reports, Gartner, IBM, Reuters, and United Airlines. Middleberg and Associates, founded in 1989, was named "Best PR Agency of the Year" in 1999. In 2000, the company became Euro RSCG Middleberg when it was acquired by Euro RSCG, the communications division of Havas, the worlds sixth-largest communications group. In 2006, Don started Middleberg Communications. Today the mid-size firm represents a diverse range of clients in technology, consumer goods, broadcast, and financial services. A noted author and lecturer on public relations, Don, together with Professor Steve Ross of the Columbia University Graduate School of Journalism, co-authored the groundbreaking study, "The Media in Cyberspace." Don is regularly called upon for commentary by numerous magazines and newspapers, and has appeared on CNBC, C/Net, CNN, and National Public Radio. He holds a bachelors degree in economics and a masters of business administration in marketing. For the past 17 of his 30-year career, Mr. Coelyn has been active in the Life Sciences and Healthcare area's as a hands-on senior executive officer and, most recently, as an executive search consultant (both as a Founder of The COELYN Group and as a Partner in the prestigious international executive search firm SpencerStuart). His executive search consulting practice spans engagements ranging from Chairman of the Board, President & Chief Executive Officer to a variety of Vice Presidential and other senior level executive positions. Mr. Coelyn is presently Co-Chairman of LINC (LifeSciences Industry Council) of Orange County, California; a member of the BioMedical Industry Council's Board of Directors; an Advisory Board Member of the Blind Children's Learning Center and the American Heart Association; and an associate member of AdvaMed, previously the Health Industry Manufacturer's Association (HIMA). Mr. Abramovitz has over 12 years of Project management experience in Israel's technology and Internet related areas. He is a graduate of Technion, Israel Institute of Technology with B.Sc and M.Sc in Mechanical Engineering and an MBA in Project Management. He has been responsible for managing various projects in the electro-optics field for the Ministry of Defense, RSL Electronics, Seraphim, Israeli Aircraft Industry and Soreq Nuclear Research Center. During his military service Mr. Abramovitz was a Project officer in the Merkava Development Center (the Israeli Main Battle Tank), responsible for all the CCD (Camouflage concealment and Deception) systems in the tank. He was also responsible for developing the computerized infrastructure for the supply department in the Logistics and Technology Division of the Israel Defense Forces. Mr. Abramovitz has been involved in numerous technology and Internet related companies and provides hands-on, day to day management and technical capability in Israel. As Motti is a third generation art dealer as well, he has established 10 years ago the Bruno Art group. Bruno Art Group is comprised of an international assemblage of companies servicing all aspects of the art industry. The company represents and market Israeli artists around the world having galleries and offices in USA, The Caribbean Islands, Singapore and Venice. Among the company's main customers: Carnival Corp. and major art dealers in the USA. Mr. Carlsson has over 13 years experience in internet and mobile related product and business development experience. Currently, Mr. Carlsson serves as turnaround CEO at Flexolvit AB, a developer of energy efficiancy software. As a turnaround specialist, his engagements focuses on internet and mobile businessmodels and the formation of buyout strategies for startups. Mr. Carlsson also serves as advisor for multiple investors including Verdane Capital, RP Ventures, Uminova Ventures and private investors focused on Internet or mobile based products and services. Most recent, he was the turnaround CEO for Resolution Interactive - an iphone game developeras as well as CEO and founder of Armagent AB, a simulations software developer. Prior entrepreneurial experiencies include Terraplay AB, Limbo Inc, iLoop Mobile, Kineto Wireless and GetLisa. Prior to his entrepreneurial present, Mr. Carlsson worked for Institute for the Future in Menlo Park, CA conducting emerging technology research specializing on wireless and broadband strategies in northern Europe and USA. He has a masters degree from the Danish Kaospilot University in Corporate Culture and Project Management and a BA in Journalism and Mass Media from Ljungskile College in Sweden. Dennis Sholl is a 25+ year veteran of the credit and lending industry in both commercial and consumer sectors with extensive exposure to both domestic and international markets. Mr. Sholl has a history of hands on operations leadership and has served as President or CEO of six different national and international companies. Mr. Sholl has built shareholder value while operating on a variety of platforms that include start-ups, turnarounds, strategic market shifts, geographic expansions, rapid growth and dispositions. During his career, Sholl oversaw the granting of credit on over 3 billion dollars in business loans and the servicing of millions of consumer debt portfolios. Mr. Sholl was founding member and CEO of Global Vantedge (now part of Aegis BPO), a private equity backed, India based offshore Business Process Outsourcing start-up with 1,500 employees and $30M revenues, which pioneered offshore outsourcing. It conducted business internationally in Australia, India, Central America, U.K. and U.S.
Mr. Sholl was President LB Credit Corporation (formerly Wells Fargo Leasing), a $650M equipment leasing firm owned by Landerbank, an Austrian bank. Sholl was charged with transitioning the company from a large leverage lease company to a middle market equipment finance operation and ultimately positioning it for sale to CIT Corporation. Prior, Mr. Sholl was President of Signal Capital Corporation and grew the company from $400 million to $1 billion in managed assets. During this time Sholl was instrumental in grooming the company for its exit strategy and successful sale to Fleet Bank. Mr. Sholl specializes in stabilizing, turning around and growing financial services companies for the purpose of maximizing shareholder value while simultaneously regaining investor confidence and planning for exit or disposition of the company. 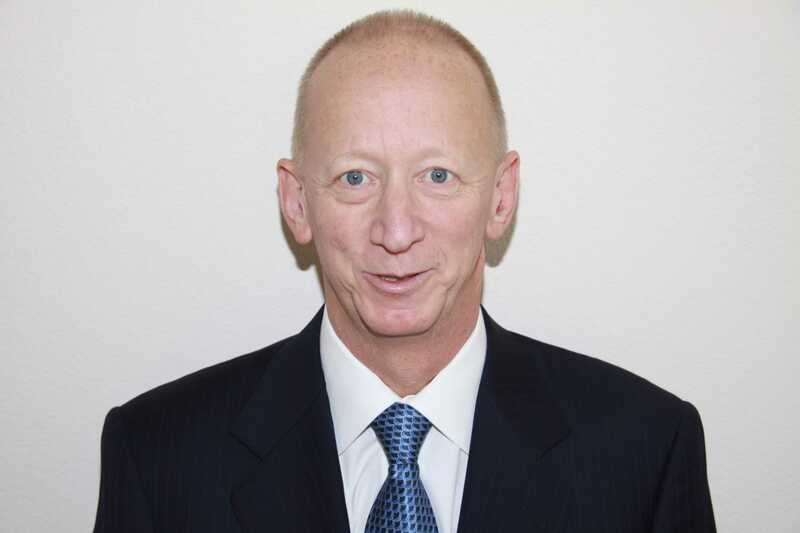 Mr. Gerbsman has over 45 years of senior management, marketing, sales and finance experience and has been involved in various business and investment ventures as an Officer, Director, Consultant and Investor, both in the US and internationally. Since 1980, he has been in the business of maximizing enterprise value for highly leveraged, under-valued, under-performing and under-capitalized technology, digital marketing, life science and medical device companies and their Intellectual Property, as well as assisting technology, digital marketing and medical device Intellectual Property companies with access to capital markets, strategic alliances, M&A, distribution of content and licensing. To date, Mr. Gerbsman has been involved in over $ 2.3 billion of restructuring, financing and M&A transactions. In 2000, he also began focusing on Israeli and European technology and life science companies, with the objective of providing access to the US capital markets and developing strategic alliances, M&A and licensing opportunities for them. Mr. Gerbsman has also assisted numerous Venture Capital/Private Equity Investors in terminating/restructuring their real estate and equipment lease executory contracts. To date, he has been involved in terminating/restructuring in excess of $ 810 million of real estate, sub-debt and equipment lease executory contracts and since 2001, has maximized enterprise value for 76 technology, life science, medical device, and solar companies and their Intellectual Property. Mr. Gerbsman received a BS degree in Accounting from Hunter College, New York and attended the Baruch Graduate School of Business, in New York City. Mr. Gerbsman has also been a guest lecturer at the McDonough School of Business MBA program at Georgetown University, at the Haas Graduate School of Business in Berkeley, California and a mentor at the Stanford University MBA program. He is also a member of the Board of Directors of the Kentfield Fire District and has been an advisor to American Legion Post 911, an American Legion Post founded to support returning Iraq and Afghanistan Veterans.